"Web Hosting Hub" Reviews (Apr 2019) - Why 3.8 Stars? Web Hosting Hub is a decent, budget web hosting service. It's great for first-timers starting a simple blog or creating a small website. If you need to grow, you may need to look elsewhere, but this is a very good option for a simple, affordable website. “Web Hosting Hub is good for sites that will function well on shared hosting in the short- and long-term. Their lack of dedicated and VPS options can make scaling an issue. That being said, they are adequate for small sites that don't plan on seeing tens of thousands of visitors each month. What you do get from Web Hosting Hub is a reliable host with solid features, including unlimited storage and bandwidth. You also get access to their website builder and eCommerce cart tool, though if your site catches on, you may look for a bigger host eventually. Web Hosting Hub also offers free, zero-downtime website transfers, which is a great feature, but generally they aren’t a host to move to short of a cost cutting measure. “For those on a budget looking for a first-time host, and for those who would like a few extras to go along with it, Web Hosting Hub has a plan for you. With a whole lot of features, they are a great value, so long as you are willing to sign up for a longer plan. If you are choosing to switch to Web Hosting Hub, they make it very easy, with zero-downtime site transfers included. For those new to hosting, perks like a free domain and site builder with eCommerce tools are appreciated. Everyone will be able to appreciate their excellent support and reliable hosting. We love that they include Softaculous 1-click software installer. This also keeps everything up to date and your site more secure. PJ Fancher (HostingAdvice.com): This rating is not available yet. We haven't evaluated Web Hosting Hub for the "Dedicated" option yet as they do not currently offer this type of hosting service. We're always working to keep our reviews up-to-date so check back later! Does Web Hosting Hub already offer the "Dedicated" option? Let us know. PJ Fancher (HostingAdvice.com): This rating is not available yet. We haven't evaluated Web Hosting Hub for the "VPS" option yet as they do not currently offer this type of hosting service. We're always working to keep our reviews up-to-date so check back later! Does Web Hosting Hub already offer the "VPS" option? Let us know. “Web Hosting Hub is a decent budget web hosting service. It’s great for first-timers starting a simple blog or creating a small website. If you need to grow, you may look elsewhere, but this is a very good option for a simple, affordable web host. Some hardware optimization for WordPress has been done, which is important to us. PHP caching is standard, reducing I/O requests to the servers' hard drives and helping decrease load times. suPHP and the latest versions of MySQL allow for a higher level of security. A free domain and instant setup is included on all plans, which is great for getting started quickly. Shopping cart software is also offered on all plans, while other hosts require you to purchase a premium plan to accommodate eCommerce needs. Web Hosting Hub is committed to the WordPress community. They continually sponsor and contribute to WordCamp events, which is really nice to see from a larger company. Get started on WebHostingHub now. 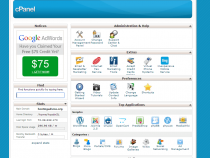 PJ Fancher (HostingAdvice.com): This rating is not available yet. We haven't evaluated Web Hosting Hub for the "Website Builder" option yet as they do not currently offer this type of hosting service. We're always working to keep our reviews up-to-date so check back later! 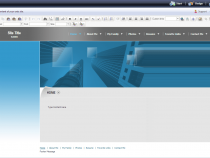 Does Web Hosting Hub already offer the "Website Builder" option? Let us know. Web Hosting Hub offers the most popular blogging and CMS software, including WordPress, Joomla, and Drupal, and makes installing these features quick and painless thanks to the Softaculous 1-click installation script. 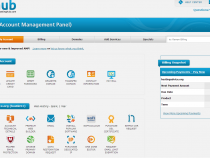 You can easily access this app installer via cPanel control panel. Web Hosting Hub offers several unlimited features, database-driven content management systems, and custom applications for a very affordable price. You can feel secure with their 90-day money-back guarantee. Web Hosting Hub offers 24 x 7 U.S. based tech support via Phone, Email and Chat. They include access to an extensive help center to look-up answers to frequent problems. Wondering how Web Hosting Hub stacks up againt other web hosting services? See our host-vs-host reviews below and compare them side by side. 0 out of 6 times. All Web Hosting Hub plans include unlimited storage, bandwidth, sites, email addresses, FTP accounts, and MySQL databases. Their easy-to-use application installer allows you to install and manage hundreds of applications, including WordPress, Drupal, Zen Cart, and Joomla. Additionally, you can take advantage of their Premium Website Builder, which offers one of the simplest and full-featured avenues to getting a site online. Finally, you can feel confident in your choice thanks to Web Hosting Hub's 90-day money-back guarantee and the US-based support team that's around 24 hours a day, seven days a week.